What patient type are you? This personality quiz will help you communicate better with your healthcare providers. Take the quiz. What Do You Know About Wetness “Down There”? Take the quiz to find out what you know about vaginal wetness & moisture. Do You Know Your Health Numbers? 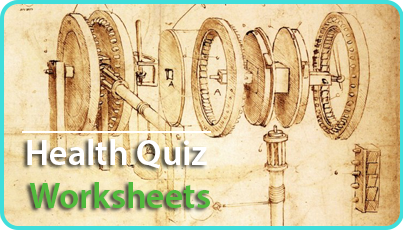 Take the quiz to find out what you know about normal blood pressure, normal vision etc. Do You Have Asthma? Take the quiz to find out. What’s Your Risk of Having a Heart Attack? Take the quiz to find out. Are You Depressed? Take the quiz to find out. Could You Be in Menopause? Take the quiz to find out. Do You Have a Drinking Problem? Take the quiz to find out. Are You Losing Your Marbles (Memory)? Take the quiz to find out. Health Maintenance Checklist for Women. When to start getting pap smears, mammograms and everything in between. This checklist also tells you how frequently you need these health assessments. [Members-only download] Not yet a member? Create your account. It’s free! Have all of your medications, surgeries and allergies handy on this form. Avoid nasty post-operation surprises. Use this checklist to pick the right surgeon for your elective surgery or procedure. [Members Plus-only Download] Not yet a member? Create your premium account. Looking start a new healthy habit or stop an unhealthy habit? Increase your chances of maintaining that life style change by using this work sheet.